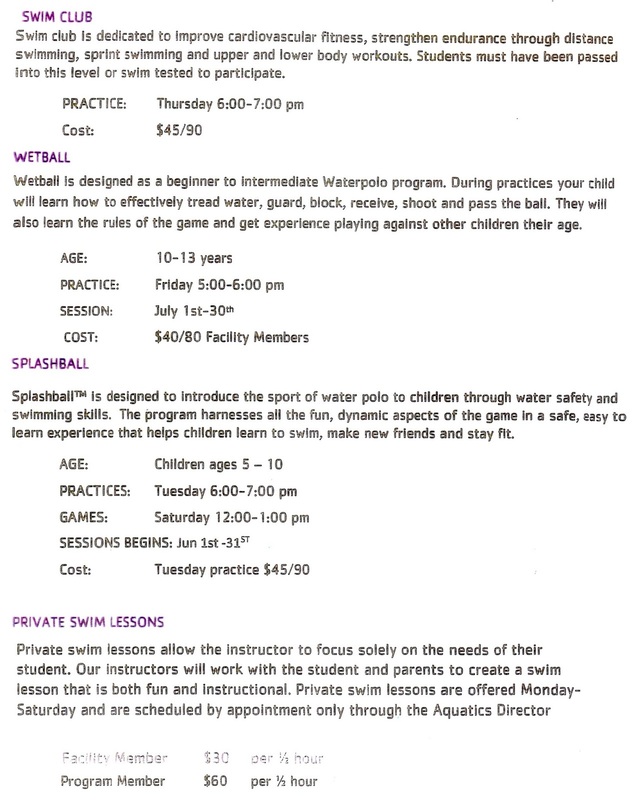 Registration is now open for swim lessons, swim club, wet ball, and splash ball. 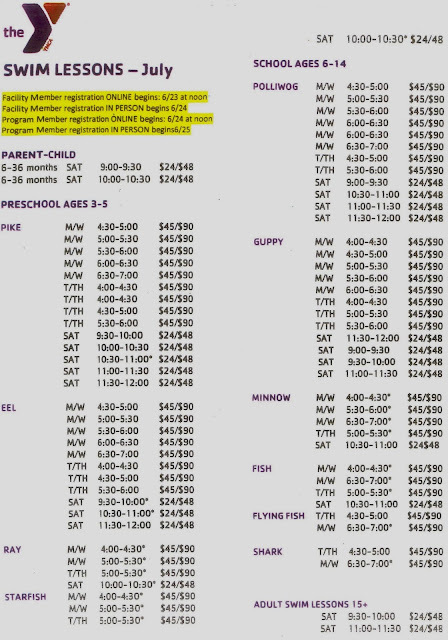 Swim lessons are paid for the full month and the cost comes out to $5 per lesson for YMCA members, or $10 per lesson for non-members. 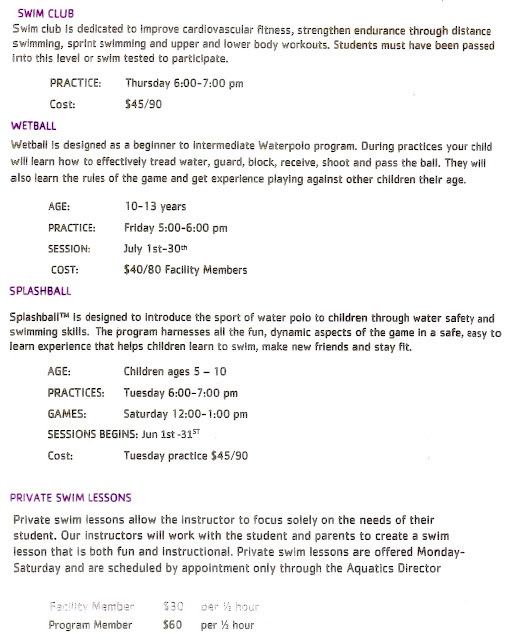 To register visit the Montebello-Commerce YMCA or call for more information.